In 2010, Mexico set an aspirational goal to voluntarily reduce its greenhouse gas (GHG) emissions by 30% compared to the business-as-usual scenario by the year 2020, and to reduce 50% of the emissions by 2050 compared to 2000 levels. It further reaffirmed this commitment in October 2012 when the General Climate Change Act went into effect. This Act stated that the above goals could be achieved if the necessary financial and technological support mechanisms are shared with developing countries by developed countries. 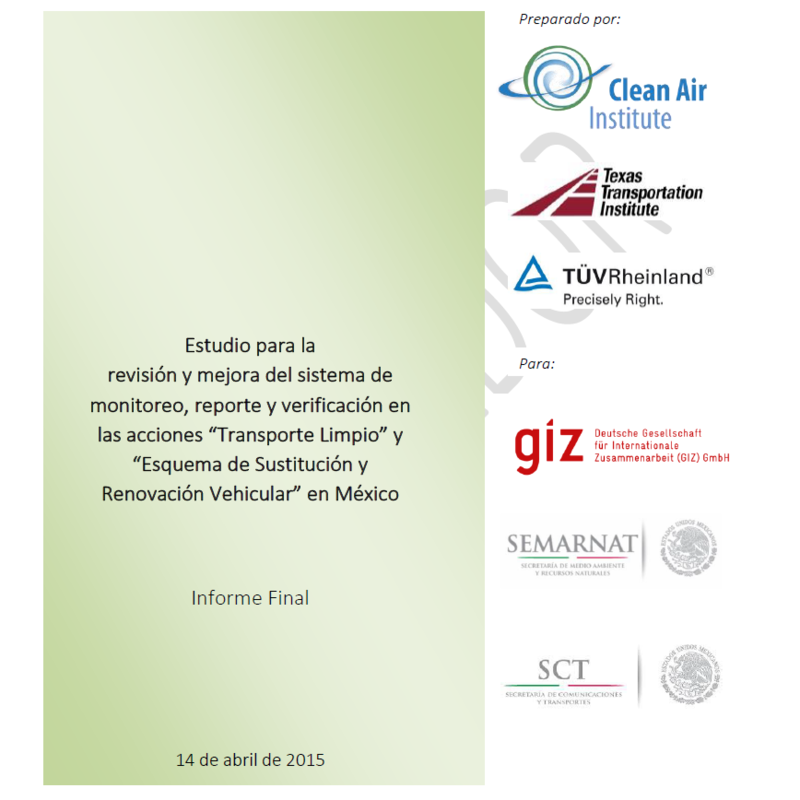 The transport sector accounts for approximately 50% of energy consumption and 31% of total CO2 emissions in Mexico. 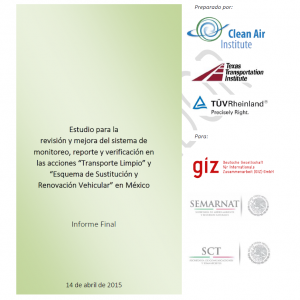 It is the largest and fastest-growing sector in terms of GHG emissions in Mexico. 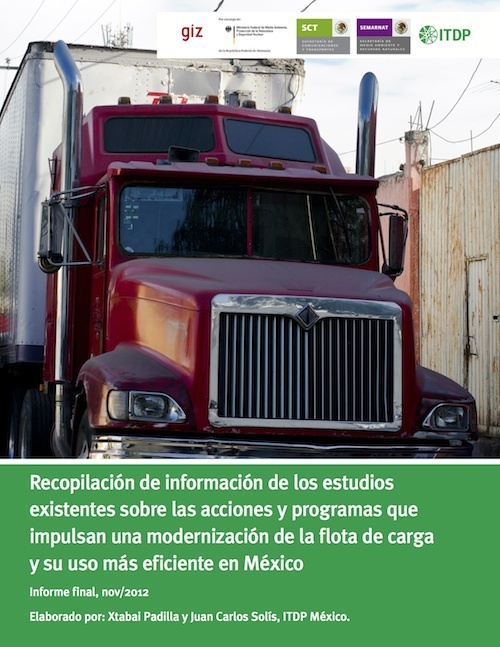 Road transport accounts for 94% of the sector’s GHG emissions.The road freight transportation sector in Mexico is responsible for more than 70 Mt CO2eq per year. 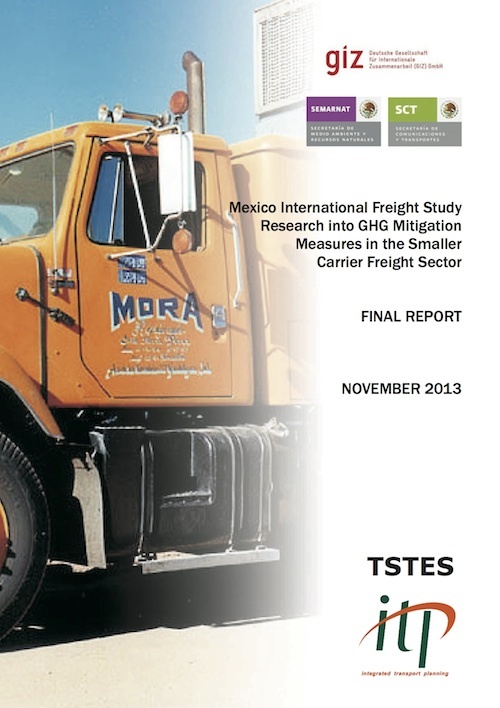 Small companies make up the bulk of road freight operations in Mexico. Many have old vehicles, and fall below current average efficiency levels. Additionally, poor vehicle maintenance and uneconomical driving techniques are factors that impact efficiency. Old vehicles have bad combustion processes and increase GHG emissions and other pollutants. 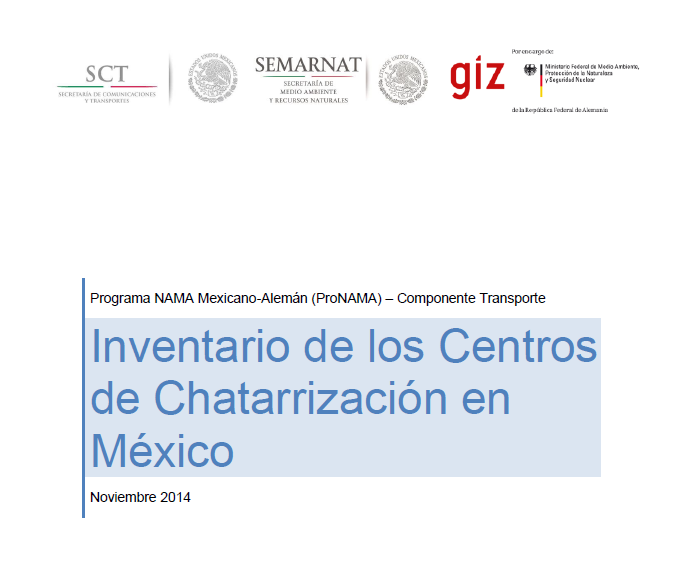 The governments of Mexico and Germany decided to jointly design four NAMAs for key, nationally high GHG emission sectors: in new as well as existing housing, small and medium enterprises (SMEs), and road freight transport. The project also calls for the establishment of a NAMA office in Mexico. 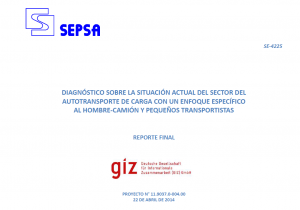 “Transporte Limpio” to make the existing fleet more efficient. 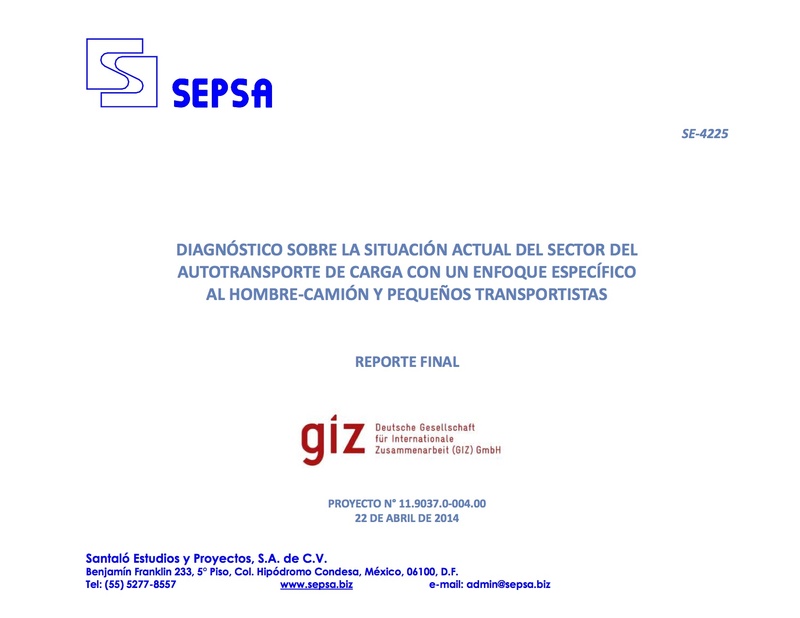 The Mexican Scrapping scheme is a government budget programme to promote the replacement of old trucks with modern ones. Participation is voluntary; however, the scrapped vehicle must be older than 10 years. The maximum age for the replacement truck in the programme is 6 years. SEMARNAT´s Transporte Limpio Programme is a voluntary market-driven partnership aimed at helping businesses move goods in the cleanest most efficient way possible. The main components of the programme are: 1) energy-efficient driving courses and 2) fleet upgrades with various fuel saving technologies and by reducing idling time. 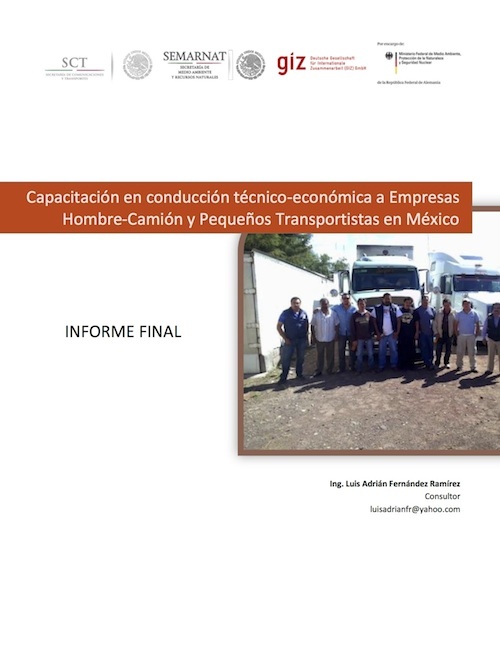 “Transporte Limpio” to make the existing fleet more efficient, Mitigation Action: Technology Package for the trucks in use to improve fuel efficiency, Obligatory Eco Driving Courses (in combination with the biannual license process). MRV activities as a basic requirement for NAMA are the FLEET Model -tool that is used to demonstrate the beneficial actions that road hauliers are taking to save fuel and reduce emissions and a Scrapping-Calculator, which calculates the GHG reduction for every truck scrapped and fleet during the programme period. Finance activities to support the Mitigation Actions: Finance for Technology Package: The National Development Bank (NAFIN) provides freight carriers with financial support for acquiring a technology package to improve truck efficiency. Pari-Passu is a credit guarantee designed for small enterprises to reduce lending risk for banks, which significantly lowers the interest rate, making capital investment more attractive to freight carriers. Increased Incentive for scrapped trucks: the incentive to scrap in the existing programme is below market value of the unit, so the only trucks that are scrapped are not being used anyway. Increasing the incentive is necessary to encourage the scrapping of the polluting vehicles still in use, and therefore, to improve the programme’s environmental benefit. 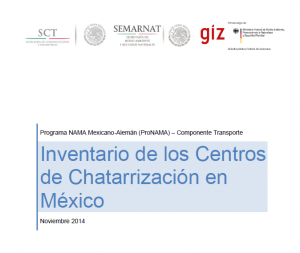 Partner:The principal Mexican partners in the Road Freight Transport NAMA are the Ministry of Environmental and Natural Resources (SEMARNAT) and the Ministry of Communications and Transportation (SCT). The Deutsche Gesellschaft für Internationale Zusammenarbeit (GIZ) acts as technical advisor and promotes the sharing of knowledge regionally, nationally and internationally. SEMARNAT, SCT and GIZ are jointly forming the Steering Group. The Steering Group receives additional support from The Mexican Institute of Transport (IMT), the National Commission for Efficient Energy Use (CONUEE) and the National Institute for Environment and Climate Change (INECC). 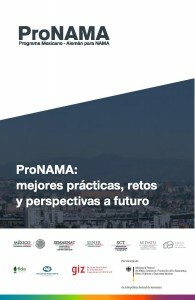 From late 2011 to December 2015, the Mexican-German Programme for NAMAs (ProNAMA) designed a package of Nationally Appropriate Mitigation Actions (NAMAs) in the following sectors: a) energy efficiency in the new and existing buildings, b) energy efficiency in small and medium sized enterprises (SME) and c) energy efficiency in the road freight transport sector, in addition to d) providing support for setting up a national coordination system for NAMAs in Mexico. 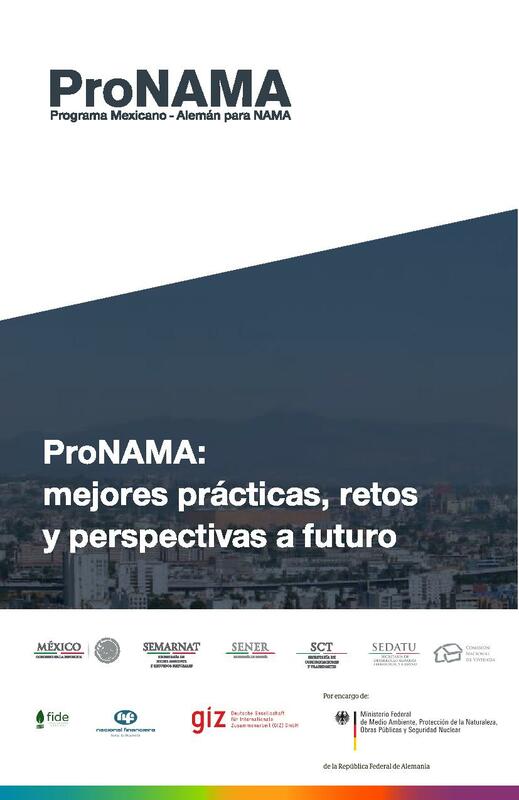 This document compiles the main lessons learned, results and impacts of each mentioned NAMA approach, describing each context, its objectives and the technical designs. Furthermore it describes the measurement, reporting and verification system (MRV), the institutional framework settings and the inherent funding mechanisms of each NAMA approach. The objective is to share the outcomes with other interested governments, institutions and the wider public who is intending to undertake the development of NAMAs in similar sectors or to set up a national coordination system for NAMAs. Learning and Innovation: permanent capacity building; technological approach according to sectorial context; consider that innovation is the key. Furthermore, the report is complemented by a virtual library in which further reports and studies developed under the ProNAMA can be downloaded here: http://climate.blue/biblioteca-pronama/. The Project is part of the German Government’s International Initiative on Climate Change, and was commissioned by the German Federal Ministry for the Environment, Nature Conservation and Nuclear Safety (Bundesministerium für Umwelt, Naturschutz und Reaktorsicherheit, BMU). 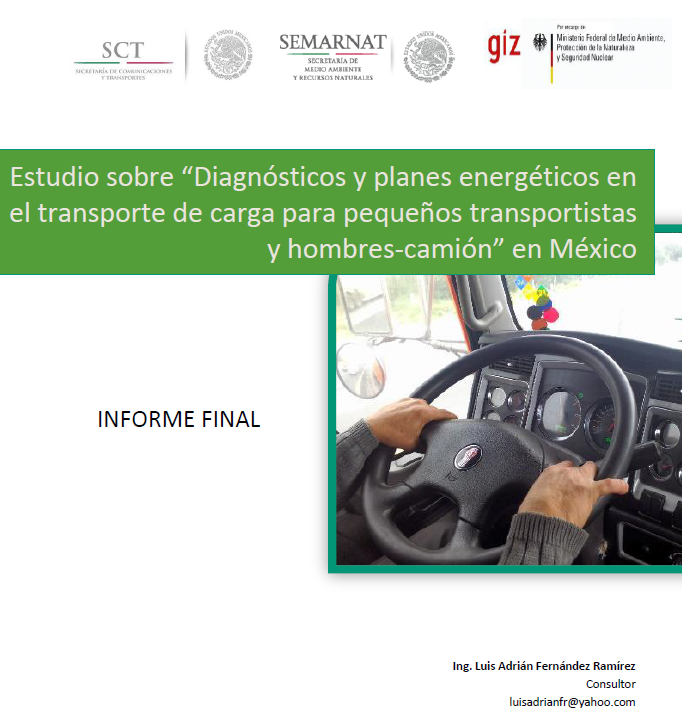 The principal Mexican partners in this project are the Ministry of the Environment and Natural Resources (SEMARNAT); the Ministry of Energy (SENER); the National Housing Commission (CONAVI); and the Ministry of Communications and Transportation (SCT). 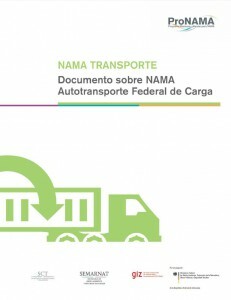 Link to transport NAMA Database.